This website was custom built with our NEW website builder! Build the church website you want today! With over 20 years combined church staff experience, we understand your needs! Imagine having the support of a team who can help you through all your technology needs. Our mission statement is to do everything with excellence. Everything we do is to the highest possible standard or we don't do it at all! We know you might not be expert in technology, so we are blessed to work alongside you and to assist and educate you in all that you need - free of charge! You can't do it all. We work alongside you, with staff and volunteer training in all areas of development. Our founders and staff are never hard to reach. We’ll be there every step of the way. Our team will listen to your every need. "There is no reason why you shouldn't try! It's a great step." Our church app has been built using the best IOS and Android platforms on the market. Don't be fooled by other church app companies. Go with the best! Digital communication can be a headache. Our platform makes it easy for any church big or small, saving you time and money. And better connecting your church family and new visitors. We have created the best church sermon player on the market, loaded with fantastic search features and a focus on an enjoyable user experience. Our Website Builder is specifically designed for churches so you can create the website you need to connect and engage your church family. Combine all our products into one powerful suite! Serving over 1 Million users each week and counting! With the BEST church platform! Guaranteed! Church App Suite offers so much to the church community. Our church has been very receptive to the electronic bulletin and all that our app offers. If there is ever a question that arises or we need some tech support, the response time is always quick and resolves any issue that may arise. Using Church App Suite, Sermon Cloud, Website builder and all of its features is a great way to keep your church on track with trends in communication. 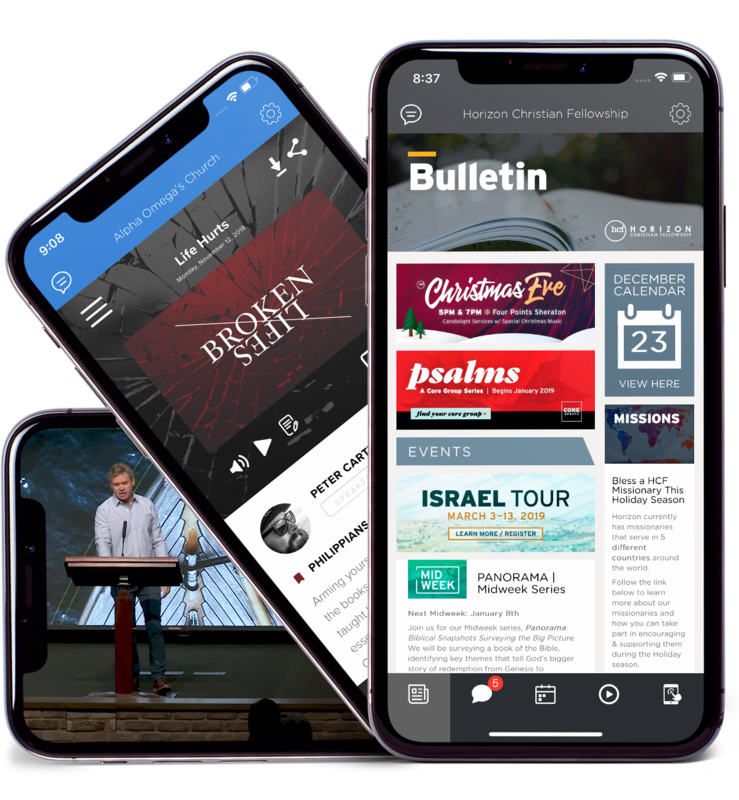 Church App Suite has changed the way our church communicates and disseminates information thoroughly as compared previously to emails that hardly anyone opened. As the main Editor, I’m still learning, and if I'm in a pinch, I contact Jeret and/or customer support for a quick response. I really enjoy using this product! With the tools given, there is so much room to be creative. I can’t say enough good things and look forward to further integrating our media and giving with the tools provided by Church App Suite as well; it’s all here in one place!